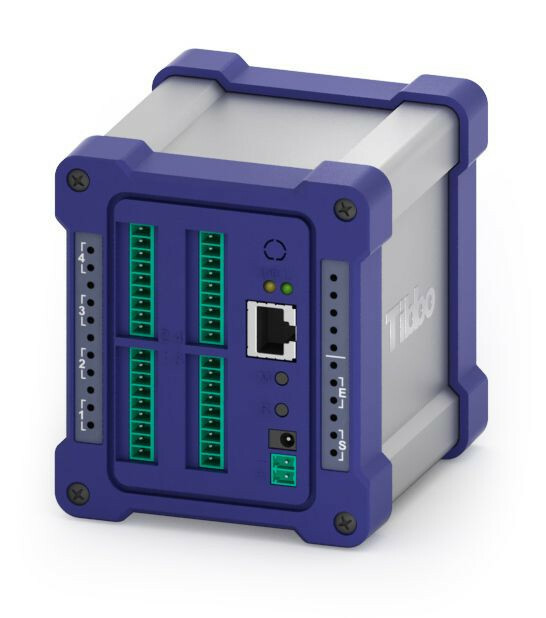 Controller With Analog Inputs | Tibbo DS1004 w VenSYS.pl | VenBOX Sp. z o.o. Controller with 8 A / D inputs, 4 D / A outputs, 2 low-power relays and 1 RS232 / 485 port. Thanks to high-precision analog-digital (A / D) and digital-analog (D / A) I / O channels, the DS1004 is ideally suited for measurement and control tasks in areas such as building automation (including climate control), process automation, laboratory works etc. Unlike most other remote control products, the DS1004’s capabilities are not limited to simply transferring data to a central server. 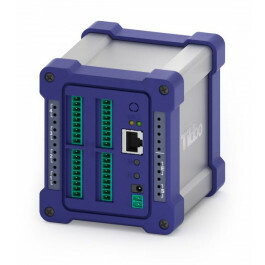 The possibility of programming in Tibbo BASIC allows you to create intelligent systems in which the DS1004 module itself can make control decisions in real time. The capabilities of the DS1004 module are further enhanced by the presence of 2 low-power relays and a universal RS232 / 485 port. This port can be used to connect external serial devices (for example, a magnetic card reader or a sensor polling module) and even an additional DS10xx device. DS1004 comes with a loaded application. The application is designed for remote control / monitoring of analog I / O lines and relays using a web browser or AggreGate Tibbo system . The open source code of the application allows you to reconfigure it for specific needs, thereby increasing functionality.